Don Shepherd's first designs appear in the 1975 catalog. 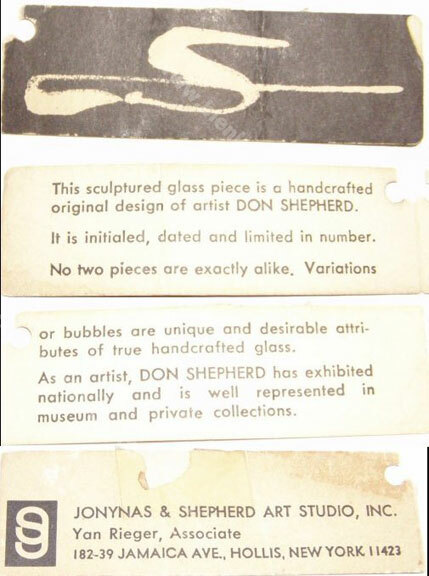 Don Shepherd- WHAT IS IT? 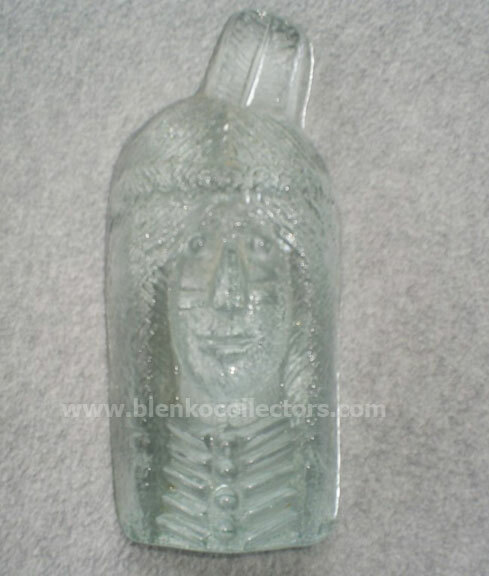 Was this a Blenko item? 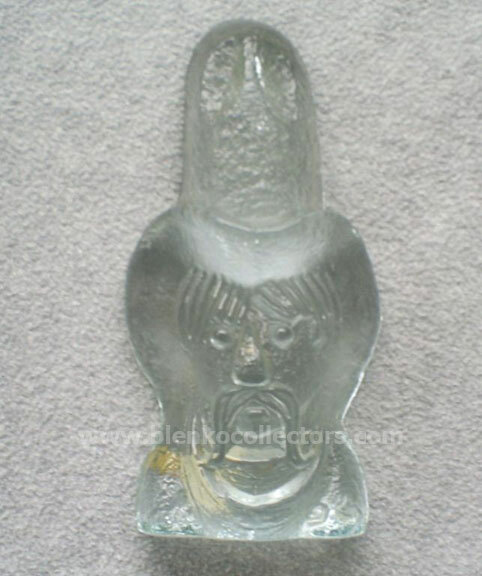 Okay we give you one answer, and it is NO. 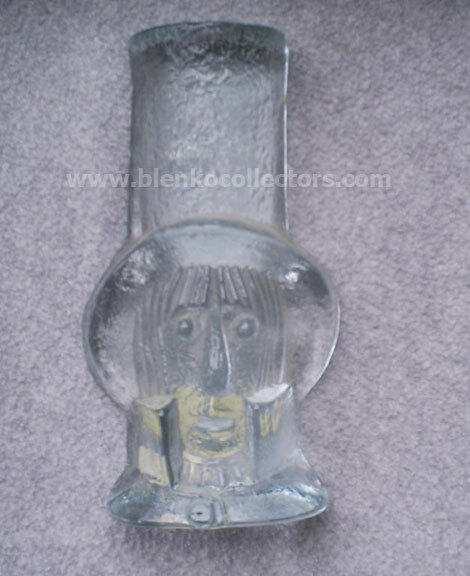 Can you tell us for what business this was made for? 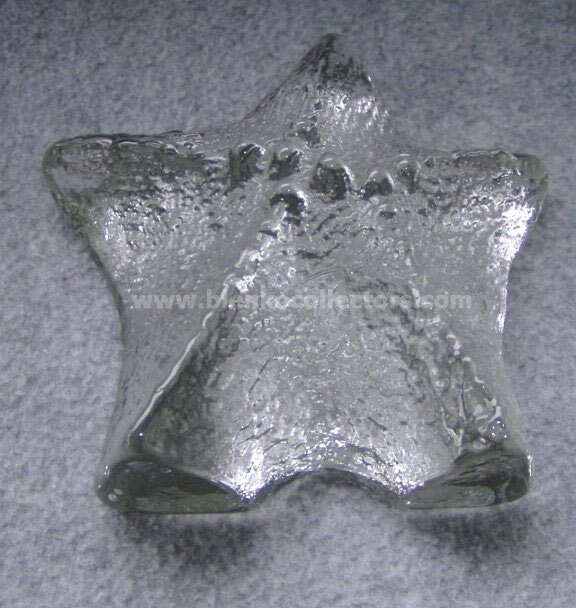 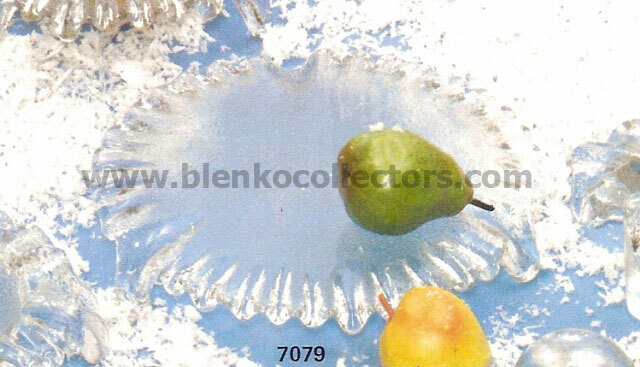 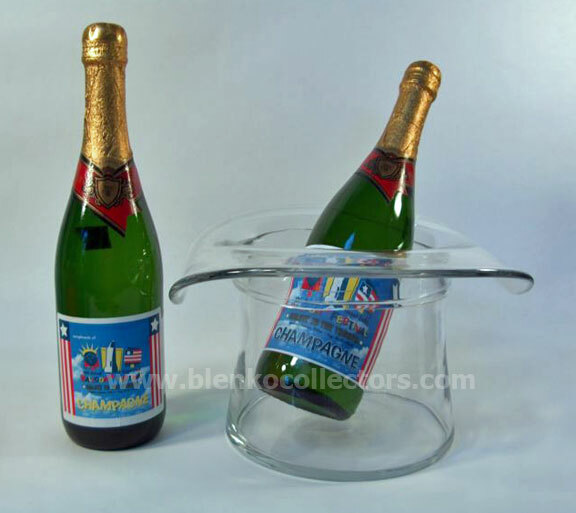 It was made using Blenko glass but this was a design Don made for a special client while still working with Jonynas & Shepherd. 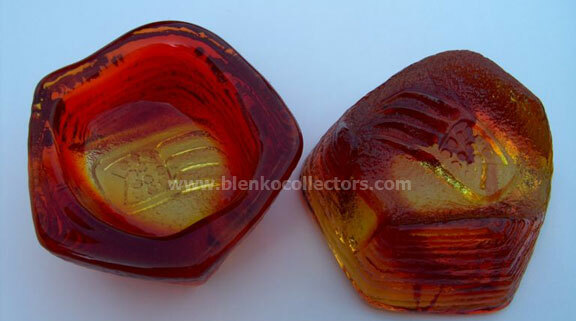 The mold remains at Blenko and has been sold during the years as specials through the visitor Center. 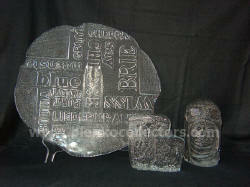 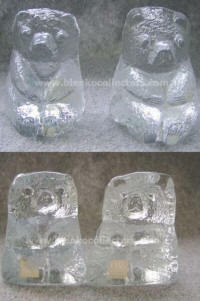 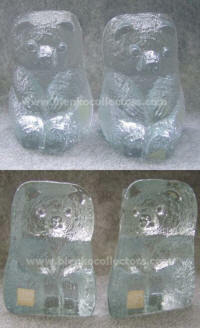 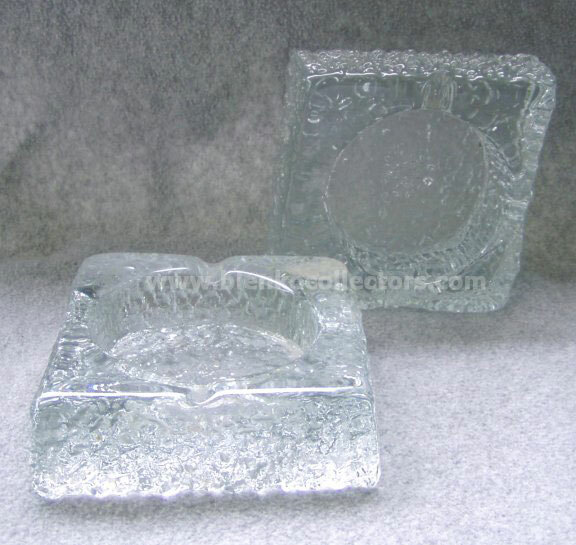 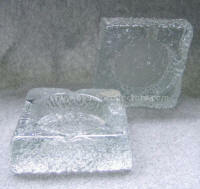 The IceFloe line by D.A.S Designs was a minimum of 14 items. 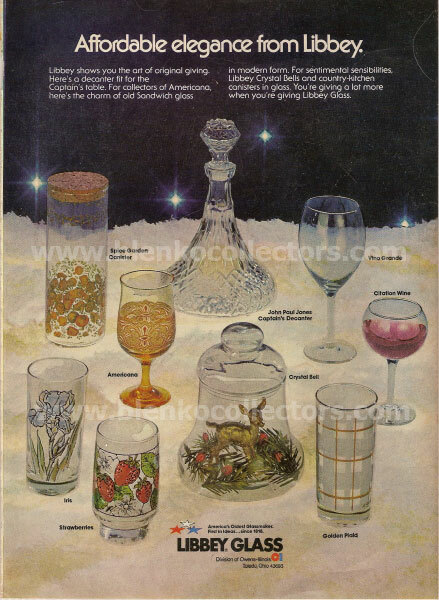 This was sold through the Rubel Representatives in 1977. 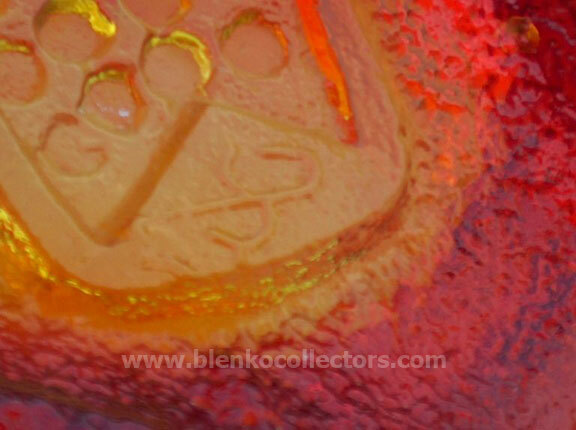 After leaving Blenko Don left his personal design molds at Blenko since this is where his personal line was made. 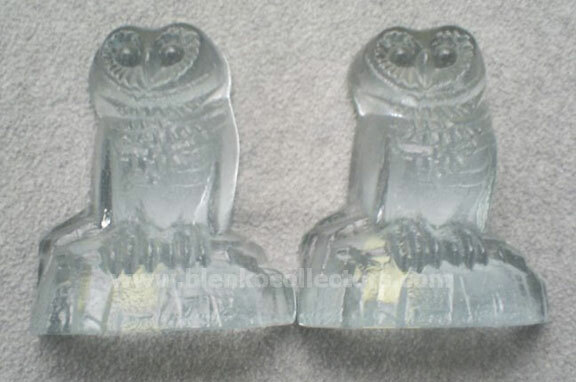 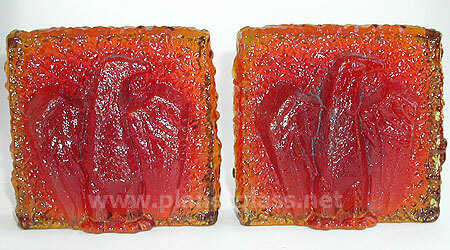 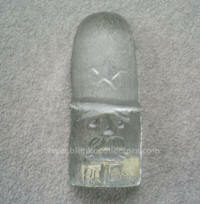 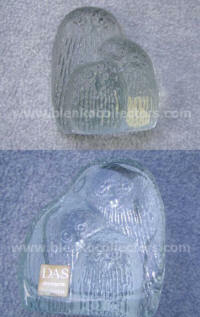 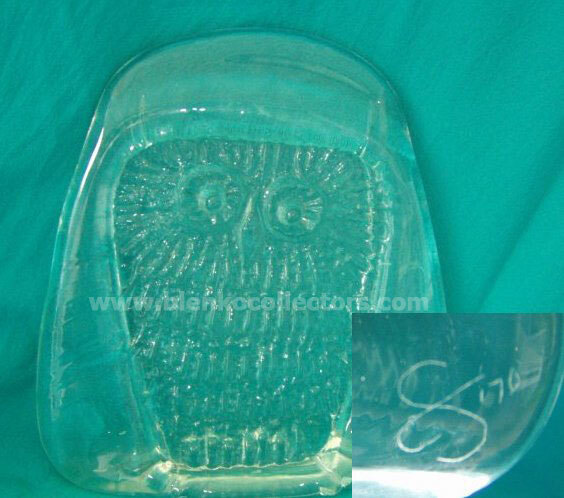 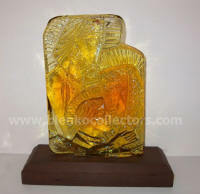 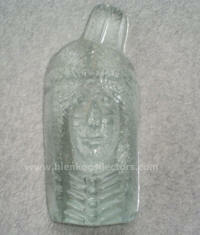 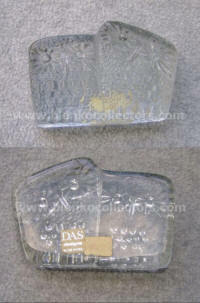 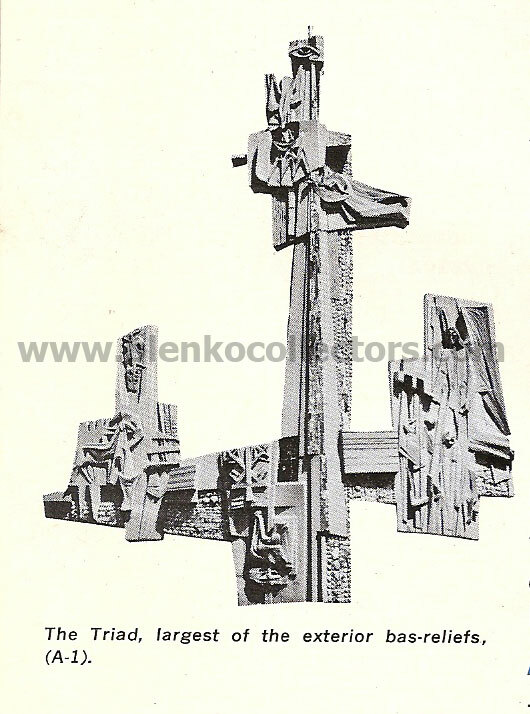 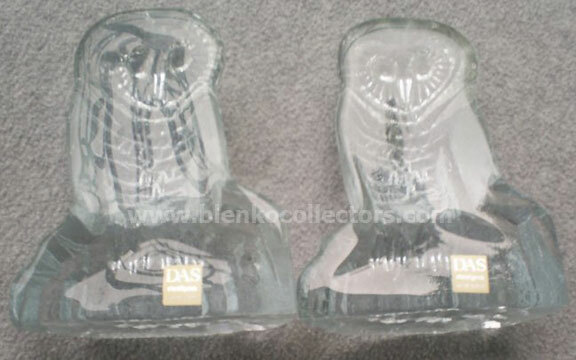 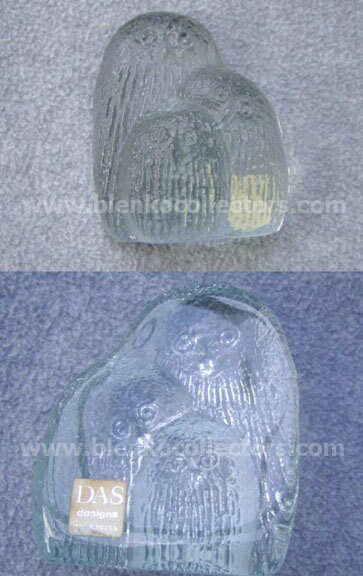 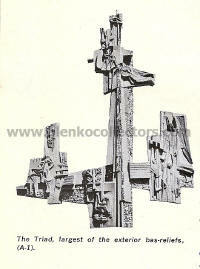 Some of these molds can be seen added to the Blenko lines during the years. The claw bowl was made by Don Shepherd when he worked at Jonyas & Shepherd. 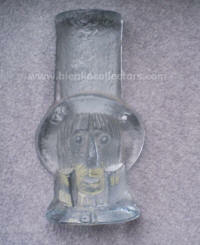 The Shepherd staff is actually molded into the design. 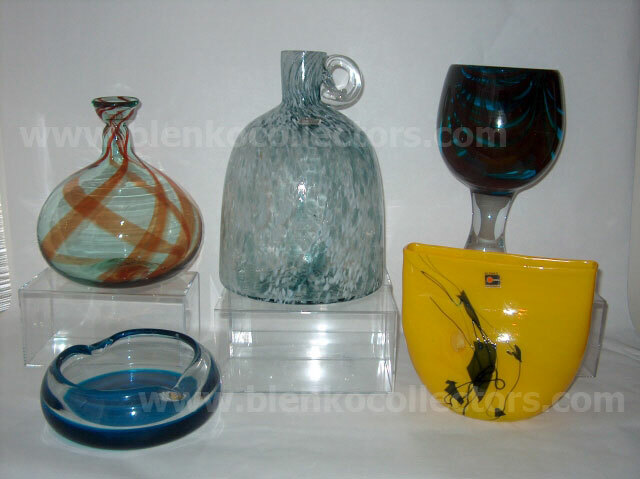 After leaving Blenko, Don Shepherd went to work with Herman Miller designing office Furniture. 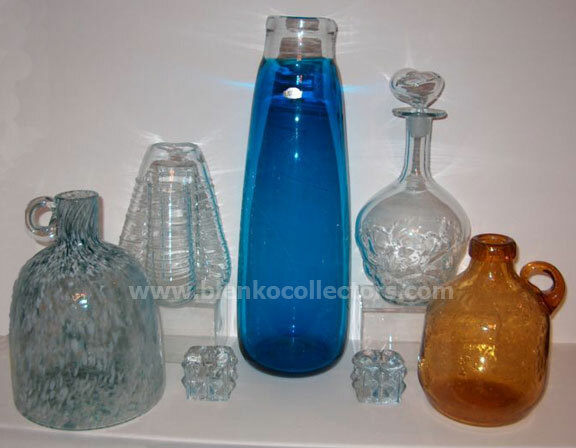 You will find this Don Shepherd design in William Blenko, Jr's office at Blenko. 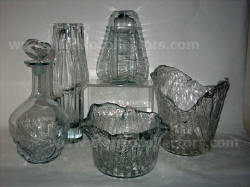 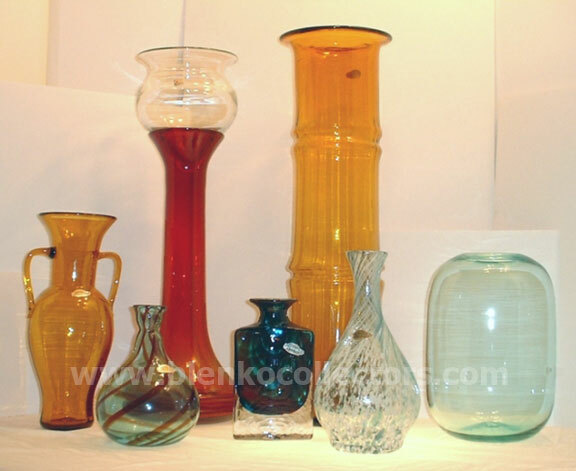 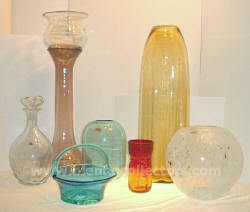 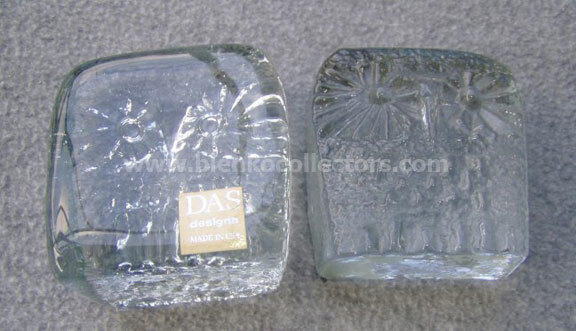 Don was also new product designer/consultant to the Libby Glass Company in Toledo, Ohio. 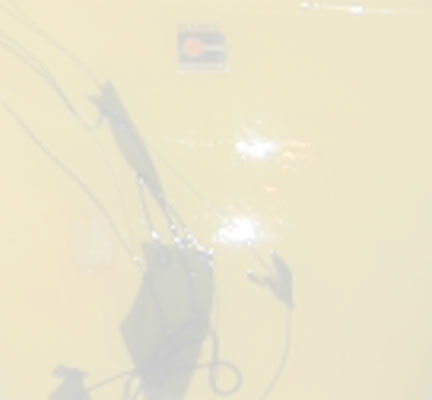 Age 71, died instantly in a traffic accident on Saturday, February 23, 2002. 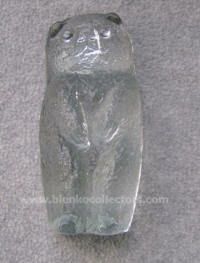 He was born October 9, 1930 in Eureka, CA. 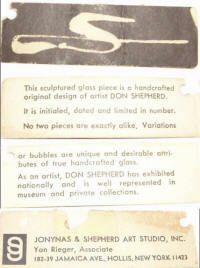 Don was a noted artist and designer who lived in Stamford, CT for 30 years. 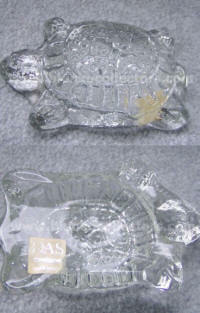 He is survived by his wife Susan Monroe; daughter Sarah Monroe; his brother, Marvin Shepherd of Walnut Creek, CA; sisters, Fran Schatz of Willits, CA and Barbara Wilson of Rio Del, CA, and also his children Kathie Cantara, Mary Rose Long, Mark Shepherd, Susan Collier, and Elizabeth Gile; and 10 grandchildren.